Racing in a closed track can get old after a while. When it comes to pure thrills and skills, nothing beats off-road monster truck racing. 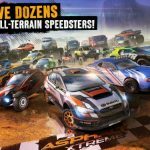 MMX Hill Dash 2 is the highly anticipated sequel to the hit racing game created by Hutch Games for Android and iOS devices. This time around you can expect bigger trucks and tougher all-terrain tracks. Prove yourself in tropical, canyon, and arctic tracks that will surely test your mettle. 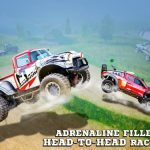 When it comes to off-road racing, the other racers are the least of your worries. 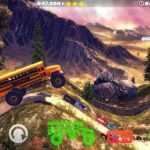 You will need to focus on overcoming dozens of obstacles including hazards, hill climbs, jumps, loops, bridges, and ramps! Don’t forget to upgrade your truck so you can take on some of the best players from around the world. Do you have what it takes to climb the leaderboards? Check out our MMX Hill Dash 2 cheats, tips and strategy guide if you want to make it to the top! 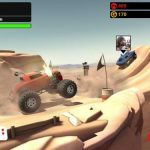 One of the biggest challenges you will face in MMX Hill Dash 2 is staying in control. The rugged terrain, jumps, and the changing slopes all make it difficult for you to keep your truck steady. It is not just about speed. If you focus too much on going faster, you will end up crashing your vehicle before you make it to the finish line. There are a few tricks you should master in order to remain in control of your vehicle. One of them is knowing when to accelerate and decelerate. When you fly off a ramp, try to alternate between the gas and the brake in order to keep your truck balanced. Doing this will help give you a smoother landing. Once you land on a hill, make sure you release the gas. If you continue accelerating, you will end up speeding up too much on the downhill slope. Just let gravity do its work and wait until you reach the flat part of the track before hitting the gas again. If you are still going too fast, hit the brakes bit by bit in order to regain control of your truck. You can use the flat part of the track to build your momentum, so you can easily climb the next uphill slope. Even though skill plays a major role in your success, it would not hurt to have a truck that is easier to drive. There are several upgrades that you can use improve your truck. You can upgrade your truck’s Speed, Grip, Stability, and Sand Tires. Upgrading Speed will, of course, make your truck go faster. This makes it easier for you to climb uphill slopes and clear jumps. Your maximum speed and acceleration will also increase. Stability will keep your vehicle from wobbling too much regardless of terrain. Grip will help keep your truck from skidding too much. Sand Tires, on the other hand, help keep you from getting stuck in muddy terrain. If you are to decide which stats to upgrade first, always prioritize Speed. After that, you can upgrade Stability, Grip, and Sand Tires in that order. Don’t forget that you can also raise your truck to the next tier through Prestige Currency. To do so, you will first have to upgrade your truck to the maximum possible stats for its current tier. Once you raise the truck to the next tier, you will be able to upgrade it further, making it stronger than ever before. The game starts you off with the Micro, a reliable starter truck. The rest of the trucks are the Monster, Supercar, Quad Bike, Amphibian, and Tank. Of course, you would want to get better trucks as soon as you can. It won’t be easy, though. Unlocking new trucks in this game is not as simple as grinding for gold then buying what you can afford. The game requires you to prove yourself worthy of the next truck. You must meet specific levels within a given time if you want to unlock new vehicles. This is why you need to ensure the Micro is properly upgraded. You need a good truck in order to beat the records required to unlock the rest of the trucks. The alternate way of unlocking new trucks is spending insane amounts of premium currency on them, but where’s the fun in that? While we are on the topic of unlocking things, there are also 35 tracks for you to unlock in the game. Some of them are easy to get. You just need to complete the previous track to open up the next one. You will have to meet certain time requirements, though. If you want to know what time you need to beat, just tap on any of the locked levels and it will tell you. The key to beating time requirements in tracks, aside from having a fully upgraded truck, is mastery. In order to master a track, you just need to play it repeatedly. Doing so will help you memorize all the twists, turns, and jumps the track has to offer. Once you learn to anticipate the dangerous parts of the track, completing it will be much easier. As an added bonus, you also get upgrade tokens in the process. Finally, MMX Hill Dash 2 lets you customize your vehicle and gives benefits for doing so. Before you enter the Arena, check out the different parts that you can attach to your truck. You can get a higher Arena score by simply equipping your car with parts that have multipliers on them. What is even better is that these parts can be acquired by purchasing them with Workshop Spanners. No luck required. You could also get a few parts by wining in Highway to Wealth. That’s not all. If you feel like mixing and matching things, you are in for a treat. The game has a Set Bonus feature that gives you boosts for dressing up your truck in parts that match. For example, if you paint your truck’s body in a specific color, you will need to paint the Rims and Topper the same way in order to activate the Set Bonus. There are a few ways for you to get free stuff in MMX Hill Dash 2, including premium currency called gems. One of the easiest ways is to simply take advantage of the video advertisements that pop up at the start of your race. It will come up on the right side of your screen, so keep an eye out for it. You can also get 500 gems for linking your Facebook account to the game. When you are in the car customization menu, you will also randomly receive ad offers that will give you free upgrades. The same ad offers will pop up when you crash after clearing a checkpoint. Make sure you take advantage of all of them. With a name like that, how can you refuse? The Highway to Wealth is a lucky draw minigame that is unlocked after completing the first two stages of the game. When you play, you will be sent to a lucky road where you can pick up a bunch of reward cards. If you make it to 30 miles on the lucky road, you will get a Super Jackpot. After picking up a card, you will be presented with four unknown prizes. Pick one and the prize will be revealed. Keep in mind that there are bomb cards as well. If you accidentally pick those, you will lose everything you gained up until that point. If you manage to pick an actual prize, you will be able to continue driving. You are free to leave with whatever prizes you have after each draw. Try to get at least three prizes before giving up, though. It is time to race for your life in MMX Hill Dash 2! Make sure you stick to our cheats, tips and hints and you will be climbing the leaderboards in no time!